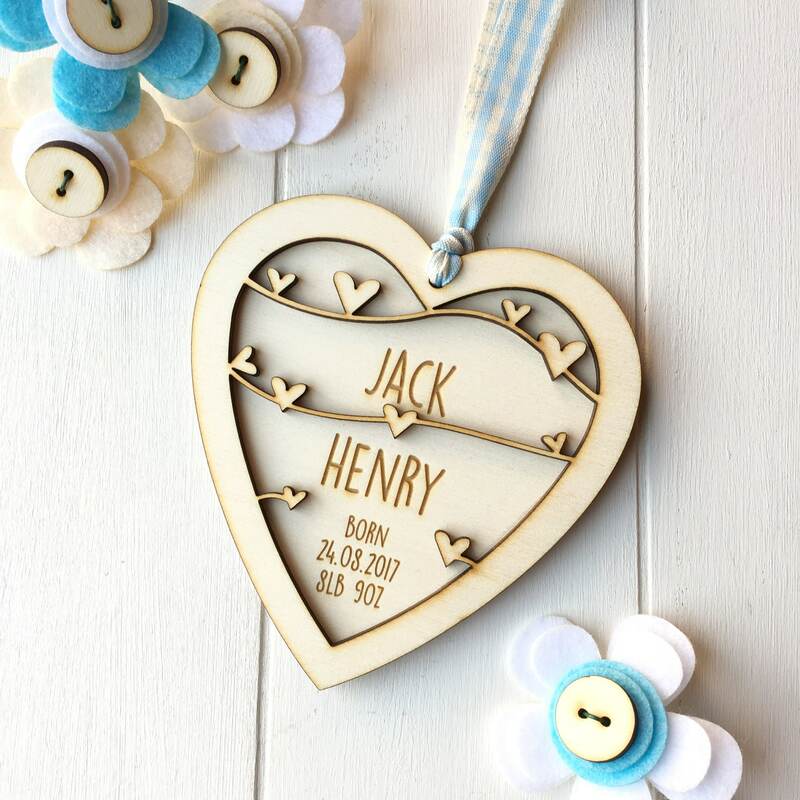 A beautiful handmade new baby boy keepsake gift. 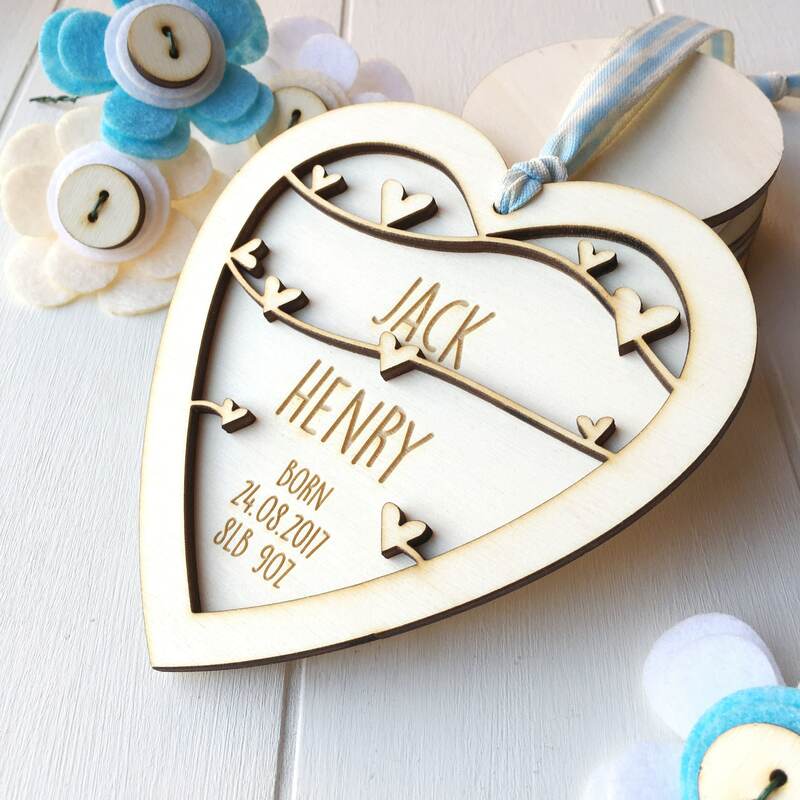 A lovely gift to give for the birth of a new baby. 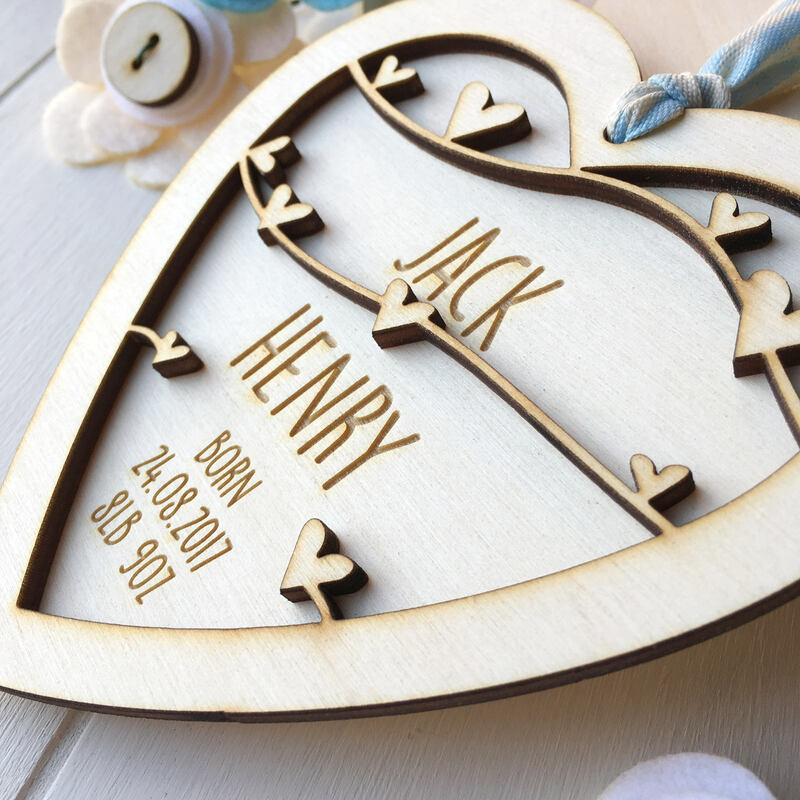 Each heart is made from plywood and overlaid with a beautiful delicate wooden design. The intricate overlay weaves beautiful around the text which is engraved on the front of the heart. This is all finished with a baby blue and white gingham ribbon for you to hang the decoration from. Just toppers is amazing! I have ordered a number of cake toppers which have been stunning, I have also ordered Christmas tree decorations, new born presents and birthday gifts over the last two years. The items are beautiful and well made. They are fabulous keepsakes.